Where will you use the Affidavit? 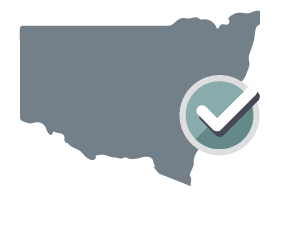 Your Affidavit will be governed by the laws of New South Wales. It is tailored to meet the specific laws and regulations of New South Wales. Different states and territories have different rules and regulations. Your Affidavit will be customised for New South Wales. I saw the face of the deponent. I did not see the face of the deponent because the deponent was wearing a face covering, but I am satisfied that the deponent had a special justification for not removing the covering. I have known the deponent for at least 12 months. Note: The deponent and witness must sign each page of the affidavit. See UCPR 35.7B. An Affidavit is a legal document where a person records a statement of facts that they know to be true. Once the statement of facts has been written you must swear them to be true in front of someone who is authorised to administer oaths (like a lawyer or Justice of the Peace). An Affidavit is often used as evidence in a court case. Because a person is under oath when making a statement in an Affidavit, they are subject to charges of perjury (i.e. the crime of willfully making a false statement during legal proceedings) if their statement is found to be untruthful. Penalties for perjury may vary depending on jurisdiction but could include fines, imprisonment, or both. Where can I use LawDepot's Affidavit? Who are the parties involved in an Affidavit? Deponent: The deponent, also called the affiant or declarant, is the person who writes the Affidavit. The deponent must be of sound mind, meaning they have the mental competency to create contracts and perform their civil duties. Authorised Witness: An authorised witness is a person who has the legal authority to witness and authenticate documents, administer oaths, and take affidavits and depositions; this person must provide their signature and details of their position on the Affidavit to authenticate it. Plaintiff: The plaintiff is the party who initially files a lawsuit. They are generally listed first in the case name. For example, Jane Doe is the plaintiff in the court case of Jane Doe v John Smith. Defendant: The defendant is the party against which a lawsuit is brought. They are generally listed second in the case name. For example, John Smith is the defendant in the court case of Jane Doe v John Smith. The parties involved in your Affidavit will depend on your reasons for creating it. If the Affidavit is in relation to a court case, it's likely that a plaintiff and defendant will be mentioned. Additionally, the cover page of the case will typically list each plaintiff and defendant (or plaintiffs and defendents, if there are more than one). What information is included in an Affidavit? Personal details: Personal details include your full name, the city and state where you live, a brief background description of yourself, and your reasons for filing the Affidavit. Statement of facts: Your statement can include facts (listed in chronological order) and exhibits (additional documents like a chart, map, or photo that the court may refer to for inspection).You should include only facts in your Affidavit. A fact is information based on real events or occurrences, whereas an opinion is a judgement or belief that is not supported with tangible evidence. Case details: Case details include the court and jurisdiction where the Affidavit will be used (found on the first page of case documents), the case ID number (found in the upper right-hand corner of case documents), and the full names of the plaintiff and defendant. If you do not know the case details, select "No" when prompted for the information in the questionnaire. Venue details: The venue is the court and jurisdiction where the Affidavit will be used. If the Affidavit is used outside of court, you can enter the information of the statutory body (an organisation legally empowered to enforce laws on behalf of the relevant government, e.g. VicRoads, the road and traffic safety authority in Victoria) the Affidavit is being submitted to. While an Affidavit is most often used in court, you can still use this form when filing a statement of facts outside of court. Ready to create your free Affidavit?